Megachurch pastor J.D. 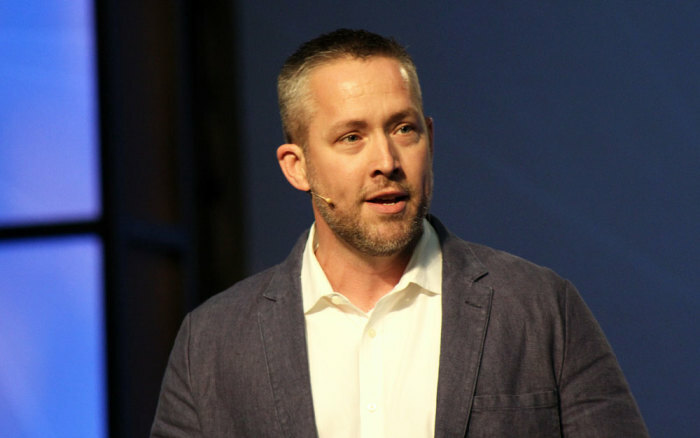 Greear of the Summit Church in Raleigh-Durham, North Carolina, said that white Christians must offer to share the burden that believers of color face in society, in order to progress toward racial reconciliation. "We need to make every effort to bear the burdens that many of our brothers and sisters of color are carrying. These are burdens that most of us have never had to experience," he argued in a New Year's Day blog post. "And often, sadly, our brothers and sisters of color are carrying the weight of these heavy burdens by themselves. Racial reconciliation involves quite a bit more than simply sharing burdens, but it never involves less than this." Greear cited the Apostle Paul in Galatians 6:2 who called on Christians to "carry one another's burdens; in this way you will fulfill the law of Christ." "For Paul, this is simply an obvious application of the gospel. If you understand the gospel, you will enter into the burdens of others, even burdens brought on by their own sinfulness," the pastor observed. He warned that most people, when they say they want to give to others, want to do so without really being burdened. "We think we've earned our burden-free life, and we're reluctant to step into any situation that puts weight back on our shoulders. But that's not what people who have experienced the power of the gospel should look like," he said. The obstacle in front of "many white Christians" is intertia, he noted. "It's simply easier to avoid thinking about things that don't affect us. But if we're gospel people, we will be aware of the pain others are going through. We will be aware of the privileges we experience that others don't have," he continued. "And we will use any position of privilege or strength that we enjoy to serve others. We are called to share the burdens that our brothers and sisters of color live with as if they were our own." Greear called on people to "take a breath" the next time a conversation begins that threatens to inflame racial strife. "Remember that when it comes to things like kneeling for the flag or protesting after a controversial shooting, others feel like they do because of the experiences they've had. And, to be frank, if you had experienced the same things, you'd probably feel the same way," he wrote. "Our experience isn't where the conversation ends, but it should certainly shape how the conversation begins. Listen to others in your community, trying to see things from their perspective. Listening is, after all, the first stage of sharing a burden. All of us can — and should — do this." As Greear mentioned, one of the main stories concerning racial tension that gripped America in 2017 was sports athletes kneeling during the national anthem, an act started by former San Francisco 49ers quarterback Colin Kaepernick. Kaepernick's refusal to stand for the anthem was fueled by what he says is social injustice in America and police brutality against black people. Many, including Christians, were divided on the act. Some prominent Christian NFL players, such as Baltimore Ravens tight end Benjamin Watson, suggested in November that Jesus Christ would back Kaepernick's protest, who himself is a Christian. "Being kind is not predicated on what you can do for me. Justice is not predicated on if I experienced injustice or not. We can advocate for people who have experiences that we don't even have. True justice is blind and righteous," Watson said in an ABC News report at the time. "Christians should be about expanding and promoting the Gospel. If you listen or think about the subject matter that players and people are concerned about, you could not as someone who reads Scripture turn a blind eye to it." Christian NFL Players Who Support Colin Kaepernick Ask Critics What Would Jesus Do?